Since our Mini shirt is so popular this week, we thought it would be fun to explore the history of the car. So, we did some digging and found 10 interesting facts and figures about this iconic British Car. There’s still 48 Hours left to get our exclusive Classic Mini T-shirt, Hoodie or Tote Bag. Details here. 1. The Classic Mini was one of the most popular cars every produced and a total of about 5,387,862 were built until it stopped production in the year 200. In 1961, the Morris Minor Mini became the first British car to sell more than 1,000,000 automobiles. 2. Due to the cars unique front wheel drive layout – with the engine sideways – allowed for 80% of the internal space of the car to be used for passengers, which explains how four people could fit relatively comfortably in a small space. 3. The Mini was not its original name and was originally built under two different brands at the British Motor Corporation. On introduction in August 1959 the Mini was marketed under the Austin and Morris names, as the Austin Seven and Morris Mini-Minor. The Austin Seven was renamed to Austin Mini in January 1962 and Mini became a marquee in its own right in 1969. 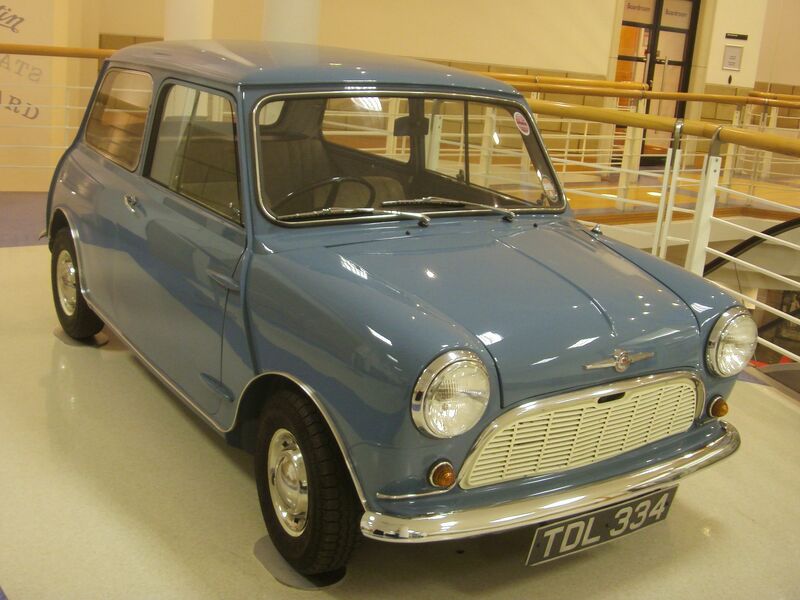 In 1980 it once again became the Austin Mini and in 1988 the Rover Mini. 4. The designer of the car Sir Alec Issigonis hated the concept of windows that rolled up and down and demanded that the windows on the Mini slide open. 5. An original Mini could be bought for around $1000 in today’s money. A Mini these days costs substantially more! 6. Issigonis’ friend John Cooper, owner of the Cooper Car Company and designer and builder of Formula One and rally cars, saw the potential of the Mini for competition. Issigonis was initially reluctant to see the Mini in the role of a performance car, but after John Cooper appealed to BMC management, the two men collaborated to create the Mini Cooper. The Austin Mini Cooper and Morris Mini Cooper debuted in 1961. The Mini Cooper became a very successful car in its own right and many people think the Mini and the Mini Cooper are the same car. 7. Between 1960 and 1967, BMC exported approximately 10,000 left-hand drive BMC Minis to the United States. Sales were discontinued when stricter federal safety standards were imposed in 1968 and the arrival of the larger and more profitable Austin America. Mini sales fell in the 1967 calendar year and the U.S. importer was expecting the forthcoming Austin America to find a larger market. However, the America was also withdrawn in 1972 due to slow sales and the introduction of bumper height standards. 8. It was manufactured at the Longbridge and Cowley plants in England, the Victoria Park / Zetland British Motor Corporation (Australia) factory in Sydney, Australia, and later also in Spain (Authi), Belgium, Chile, Italy (Innocenti), Malta, Portugal, South Africa, Uruguay, Venezuela and Yugoslavia. 9. The Mini Mark I had three major UK updates – the Mark II, the Clubman and the Mark III. Within these was a series of variations, including an estate car, a pick-up truck, a van and the Mini Moke – a jeep-like buggy. 10. The legacy of the Mini endures. There are some 469 Mini clubs in the UK and at least another 260 world-wide. The car is continually voted one of the most favorite cars of all time and it was recently voted as Britain’s favorite car ever produced. 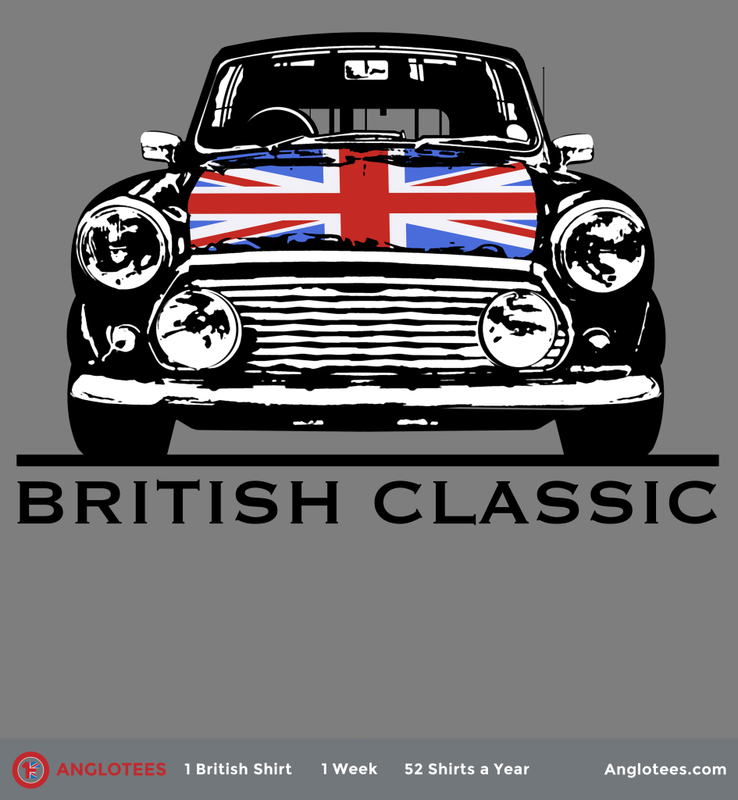 There’s still 48 Hours left to get our Classic Mini tribute t-shirt. Details here.